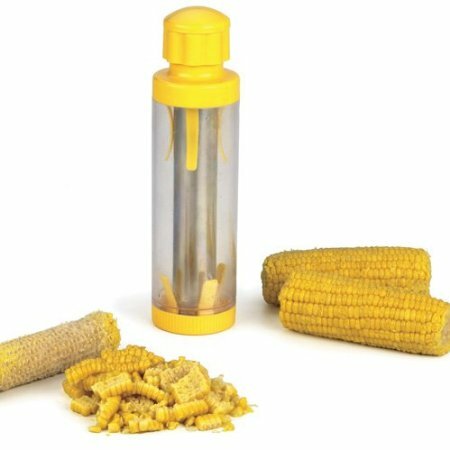 The RSVP Shuck Deluxe Corn Stripper removes kernels from corn on the cob without making a mess. Comprised of a cylindrical tube and a plunger type device, the corn gadget eliminates “wayward kernels and corn juice splatters” as the results are collected in the bottom of the tube. As for shucking the corn in the first place? Well, word on the street (and by street I mean farm) is that a few minutes in the microwave will do the trick.